The Sixth Form is a time to build on all your experiences to date – to think, to plan and to prepare for life after school. We take our responsibility very seriously, and therefore, in addition to the academic element in the Sixth Form we offer a wide range of advantages to your daughter. Careers guidance is carefully planned in the Sixth Form to support pupils and parents alike. The world of work presents many challenges and the building blocks for success start here so that Tormead girls are highly sought after and valued. Horizons is a rolling, two-year enhancement programme of lectures that takes place weekly during the Autumn and Spring Terms and is designed to widen the girls’ knowledge of important issues and debates, helping them with topics that may be discussed at their university interviews as well as introducing them to university style lectures. Speakers have included: Ann Milton, Guildford MP; Sean Attwood, ex-prisoner and drug taker; Kara Cauter from KPMG; Rick Findler, a young war photographer; Kelly Smith from The Global Poverty Project; Robin Elias from ITN News, as well as Emma Cole who presented a moving lecture on living with HIV. 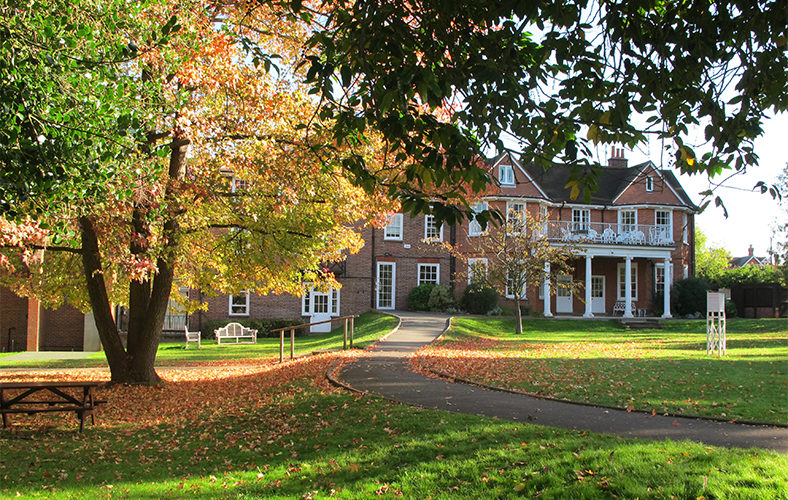 A unique weekly package of lectures, discussion groups, seminars, classes and sessions is Tormead’s response to the changing requirements of the world of work and 21st century life. Topics covered include: time management, bullying in the work place, project management skills, sexual health and relationships, voting and democracy, as well as interview skills. Symposium is an individual extended project undertaken by each Lower Sixth student on an academic topic of her choice, alongside her formal studies. Over the course of the project, she will carry out extensive research on her chosen topic, writing a 2500-word report and giving a short presentation of her findings to an audience of students and staff. The best presentations are selected for the Symposium Finals which take place at the end of the Summer Term. Because Symposium is undertaken by all our Lower Sixth, there is a shared experience of putting research skills into practice, but each girl is individually investigating a topic that she is passionate about. Students develop skills in research, academic writing and presentation, as well as overall management of an independent project and increasing specialist knowledge in their field. Symposium is of immense value in preparing girls for Upper Sixth, University and future careers, and provides excellent material for students writing applications for UCAS or preparing for interviews. The Extended Project Qualification (EPQ) is offered alongside the Symposium project at Tormead. The EPQ gives students the opportunity to choose, research and study topics that they are passionate about, alongside their A levels. Previous topics have included such diverse submissions as the influence of Method Acting on young actors and actresses, an exploration of dietary approaches to curing cancer, and an examination of Queen Elizabeth 1st as the first truly ‘modern’ monarch. Not only does it prepare students for university education, developing skills of research and academic writing, but it is an opportunity for the girls to really investigate an area of particular interest to them. Over the course of the project, the girls will become ‘experts’ on a very specific topic, writing a 5000 word report and giving a presentation to an audience of students and staff. How is it different to the Symposium Project? The EPQ qualification differs from the Symposium project in that students have to complete a ‘log’ of their academic journey, documenting their research and how their ideas may have changed along the way. They will need to record their reflections on different aspects of their project, identifying difficulties or problems that they might have had and how they overcame them. They also need to produce a 5000 word report rather than a 2500 word report required for Symposium. What is the timescale involved? The project is launched in the Autumn Term and the girls are expected to research and write their report alongside their A Levels. There will be an initial submission at the end of the Lower Sixth and a final submission in November of Upper Sixth. Each student will be assigned an EPQ Supervisor who will be responsible for monitoring their progress and ultimately marking their EPQ submission. The girls will need to develop good time management skills if they are to be successful, and this is perhaps the greatest challenge. They are awarded an EPQ Level 3 qualification graded A*-E at the end of the process. The Sixth Form expedition to Ecuador and Galapagos Islands or Zambia is an annual event. The challenge for the girls (and the staff who accompany them) begins long before the journey starts, with a 15-20 month programme of training, fundraising and research that provides the maximum educational impact. In recent years, significant numbers of Sixth Formers have been selected to join British Schools’ Exploring Society expeditions, involving six weeks of project work and adventure in remote areas of the world such as arctic Norway, the Amazon or central Africa. Tormead is one of only 23 schools in the country to have been awarded star school status by BSES. The Young Enterprise Scheme allows students to create their very own business. This includes electing a board of directors, raising share capital, and creating, selling and marketing their products to generate profit. The scheme is first and foremost a competition, with awards given to companies for Most Innovative Idea and Best Overall Company. Taking part in the scheme requires commitment to at least one meeting per week with the Young Enterprise advisors and Link Teachers and also a meeting during the school week with Company members only. Tormead’s Sixth Form Young Enterprise companies have a history of doing very well, proving their professionalism as well as their financial and business acumen with recent successes. The Duke of Edinburgh’s Gold Award will allow you to challenge yourself whilst having fun. The Gold Award is a fantastic chance to take part in physical activity, volunteering and learn and improve skills. The Duke of Edinburgh’s Award Scheme is a brilliant opportunity. It allows the girls to work within a team and learn to cooperate with others in order to get their ideas across. It provides the chance to bond with others and gain and strengthen friendships. The tough times teach you perseverance and determination and the sense of achievement at the end is well worth the effort! Tormead Sixth Formers can enhance their CV and employ-ability, while gaining some valuable life skills along the way. Tormead Sixth Formers can choose to take an introductory course to learn all about Financial Services and Products. Subsequent courses are also available, should girls wish to build upon this to gain a serious professional qualification. Tormead Sixth Form offers girls the opportunity to earn extra GCSE qualifications along side their A Level studies, allowing you to explore new interests and set you apart from others. If you have not chosen to study A Level Maths, but would benefit from knowledge and skills of applying maths to practical situations, this is a qualification to consider. Tormead Sixth Formers are offered a variety of opportunities to improve their existing skills and gain new ones, ready for the demands of the 21st Century.